Michael Patrick O'Neill Photography, Inc. Female Leatherback Sea Turtle (Dermochelys coriacea) photographed in shallow near Singer Island, FL. 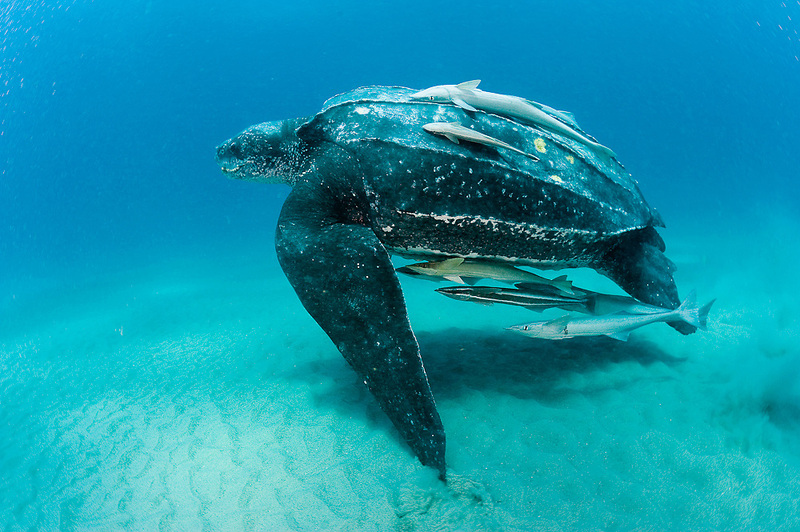 The Leatherback is one of the world's largest reptiles, reaching close to 2,000 lbs. and nearly 10 ft. in length. Severely endangered, the species is threatened by coastal development, poaching and entanglement with fishing equipment. Image available as a premium quality aluminum print ready to hang.